The game's full name is Cadence of Hyrule: Crypt of the Necrodancer ft. The Nintendo Switch system has quickly become the go-to platform for indie developers. IGN gave Crypt of the NecroDancer an 8.8 in our review, calling the experience "logic meets chaos". The Legend of Zelda (that's a mouthful) comes courtesy of Brace Yourself Games, the Canadian studio responsible for the 2015 hit Crypt of the NecroDancer. While Clark says they initially approached Nintendo to potentially use Zelda in some smaller way like DLC, the mutual interest in working together grew faster than they were expecting. 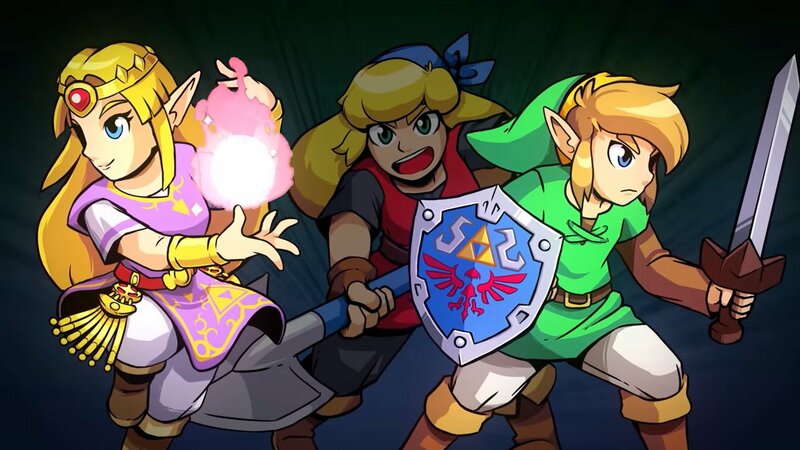 Cadence of Hyrule was announced for Switch today, and its a mashup of The Legend of Zelda and Crypt of the NecroDancer. Familiar enemies like Lynels, an assortment of items from The Legend of Zelda, and spells and weapons from Crypt of the NecroDancer culiminate in a unique take on both series. The game plays just like Crypt of the NecroDancer, forcing players to keep the beat while they battle through beastly dungeons. "The Legend of Zelda" could imply. There are also a few games either releasing today or becoming available for pre-order on the Eshop today, and an indie game sale is now underway. You play as Hue, who must explore this unusual new world filled with intelligent tribes and find a new home for your people. Are you excited for this little surprise Zelda release for the Switch?